After reviewing the spectacular QC20 in-ear phones, I tried the Bose QC15, which is the other headphones with noise cancellation. 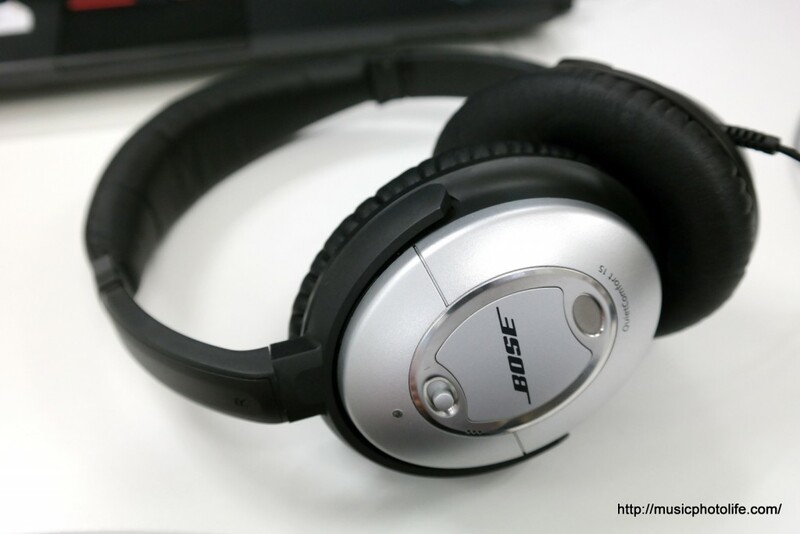 The QC15 has been around for a couple of years and is highly recommended for noise cancellation situations like public commute and airplane. I find the QC20 offers better noise cancellation and has the added benefit of using the earphones even without noise cancellation turned on. There is also a button to let in 100% ambient sound. While the QC15 lacks these advanced features, it does have an outstanding battery life powered by a single AAA battery, which means there is no excuse to have a battery situation. It is also more comfortable to use for consumers who did not like in-ear phones (although the Bose earbuds wears like normal earphones but fits like in-ear). Sound-wise, the QC15 has a brighter sound characteristics with clean subtle bass, while the QC20 is warmer. Between the two, I would prefer the QC20. The QC15 retails for S$529 at the Atlas e-store Singapore.